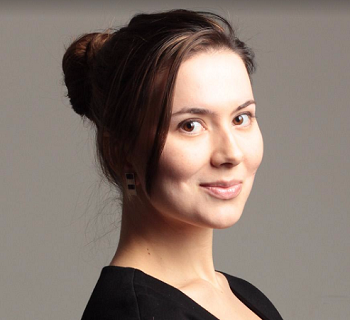 Katya Dorozhkina is Co-founder and Managing Partner at Starta Ventures. Dorozhkina started her marketing career at Nielsen in 2003. After Nielsen, she went on to work in pharmaceuticals, IT, FinTech and Wall Street. Working in such a broad range of industries allowed her to refine her product and business development skills. In 2012, she co-founded her own agency and worked with startups and corporate clients like Samsung, Casio, American Express, American Airlines, and others. In 2015, she joined Starta Capital VC fund as a Managing Partner. 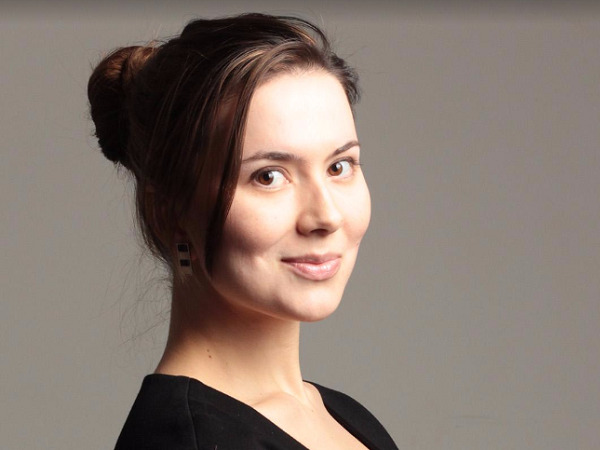 Shortly after joining Starta, Dorozhkina co-founded Starta Accelerator, a New York City-based program that aims to empower startups with Eastern European roots and frontier technology through a rigorous 3.5 month mentorship program. By 2017, just two years after launching the accelerator, she had gone on to back dozens of successful entrepreneurs and had begun to add a further spate of services to the Starta brand. For instance, in early 2017, she hatched the idea for what would become Sputnik Space (https://www.sputnikspace.com), an incubation and co-working space for all international founders, which could then become a bridge to the Starta Accelerator for successful startups. This October all Starta initiatives are coming under the umbrella of the Starta Ventures family. Starta Ventures’ mission is to break through traditional venture capital barriers to empower the next generation of tech entrepreneurs. Dorozhkina received her Master's Degree in International Economics and is currently, a PhD candidate in Economics. Katya Dorozhkina: I'll tell you the story of how Starta Capital and Accelerator started and our philosophy. My partner, Alexey Girin, launched Starta Capital in 2014. Prior to that, he was an angel investor based in Russia. Alexey launched a venture capital firm and raised $3 million for the first fund, which focused primarily on early stage technology startups. Back then, there were a few startups that were part of the portfolio based in Moscow. By 2015, he was thinking about how he could help the portfolio companies to grow into global companies and raise their next round of investments. The market in Europe - specifically in Russia - is tough in terms of liquidity. You can get some seed and pre-seed money, but raising later rounds is really problematic; the venture system is not as developed as here. It was obvious that the future development of our portfolio companies, from a capital perspective,would come from the US. With this in mind, Alexey began exploring ways to partner up with local, US based accelerators like YC or 500 Startups to help the portfolio companies go through the program. This would allow them to get started in the US and help develop them into global and US-based companies while keeping their R&D in Russia. I met him in 2015, and by that time I had already exited my agency, where I had been helping startups and entrepreneurs. My background as a Russian, my involvement with startups, and being an entrepreneur myself, gave me a good idea of the challenges that these companies were facing. I knew exactly what they needed to become integrated into the local startup ecosystem right after they arrived in the US. I offered to launch our own accelerator program to help those guys, and that's how Starta Accelerator was born. In late 2015, we shaped the program and all the processes. We decided to set up the program here in New York versus going to the Bay Area. In January 2016, we welcomed the first batch, which consisted of six Russian startups. All of them moved to New York. The first batch was a mix of Starta Capital portfolio companies and startups that came to us when they heard that we had launched this program. With the first batch, we validated our idea and hypothesis: There is a definite need for such an acceleration program to help not only Russian startups, but all Eastern European startups. Through the program, we would help them integrate into the local ecosystem, shorten the time it took to localize their products, develop their business models, and adjust them to a new culture. The program lasts for three and a half months. The results from the first batch were put into practice. Some companies got offers from local competitors; others raised money. One of them, for example, raised $2 million from both US and European investors. Another one got a check from a local angel investor who’s a mentor in the program. They wrote the check right after the first meeting! We saw that the local community of investors in New York also got excited about our accelerator because of the types of startups that we bring: They're very techy, and they're later stage, but they're also very undervalued. Moreover, they're more mature, and thus present less of a risk profile. Product wise, they're a lot further along than local startups that may only have a pitch deck or a landing page. After the first batch, we stipulated that Starta Accelerator would exist as a separate fund, so we raised a separate fund for the second and third batch. Each batch then became 10 startups and we expanded our origin criteria to include not only Russia, but Ukraine and Belarus. Our work as a guiding star for international entrepreneurs had begun. So far, all batch companies have been successful. They each have different measurements of success, but they've either raised rounds or shown traction and generated sales. All of them are impressive. After that, we raised yet another round, because we had raised the previous fund only for these two batches. In July 2017 Starta utterly shattered barriers, when we raised $5 million for the fund in an Initial Coin Offering (ICO). We went on to organize ICOs for several of our accelerator graduates and achieved outsized returns for each, raising $25M in total. These results catalyzed the formation of Token Rockets, a two-step ‘blockchainization’ process for startups, which culminates in an ICO. Going back to our investment philosophy, we believe that Eastern European tech has lots of potential and its upside. We also believe that as a fund, we should always be ahead of the latest trends, like what we did with our ICOs. All of these experiences have shaped our mission: Breaking through traditional venture capital barriers to empower the next generation of tech entrepreneurs. KD: We are focused on Eastern European startups. We do that because we believe that they are really strong in terms of technology. Their weak points are business development and entrepreneurship, aspects that the US is strong at. We do a hybrid between the two and get these guys on the ground here in New York to help them to grow into ‘global challenger’ type of companies. On the other hand, we're not damaging the economy of their home countries because they keep headquarters there, hire new technical team members there, and create a mutually beneficial relationship between their countries of origin and the US. We're the only accelerator in the US which follows this model. We don't have any specific vertical, per se. If you look at our portfolio, it's very diverse across different industries. The main requirement that we have is that the companies will have passed the product development stage and they will be what we evaluate to be‘global challenger’ type of companies, meaning that their technology can be applied everywhere, from the US to Europe. We're focusing on being a bridge between the continents and helping our founders get off the ground here. Technology-wise, we have drones, we have medical devices, we have adtech and more. We also look at how each company can benefit from our program. We are trying to balance each batch. So, let’s say we have one or two hardware devices. We don't want to make it too heavy on hardware only. We have fintech and adtech because New York is the best place for those startups. So that's primarily how we choose the companies to invest in. KD: It’s been interesting building the accelerator and meeting all of these different companies. As I mentioned, they all have different success metrics. From the very first batch, we have this company called GeoCV. These guys are doing 3D VR tours. It's a technology that can scan any indoor location and convert that scan into a tour. Behind these guys is a very strong technology and they've been working on that for the past seven years. They actually got a few offers from local competitors. What excites me about them is the technology. It can save you time and money if you're moving into a new place and it also helps real estate businesses to create innovative marketing campaigns because it can help customers experience dozens of listings from the comfort of their living rooms. After the program, they raised $2 million from both US investors and one of the largest European funds. From our last batch, there's a company called AgriEye. It's a drone and software platform that helps farmers optimize their harvesting and all the processes that they have. There have been plenty of innovations in farming, but this is something can be used immediately and can benefit everybody. They didn't stay in the US after the program, and they're now in Norway, but they got really good traction in the US and lots of orders that helped them grow across many continents. In batch number two, we had guys from Belarus, who founded a company called FriendlyData. It's a natural language interface for databases. Right after our accelerator, they received an investment from 500 Startups and they moved to the Bay Area. They just launched an integration with Crunchbase. Instead of answering requests and trying to build a report yourself, there’s just a simple searchbar where you can ask any type of question, such as, 'Show me the best sales guy in the past month.' Ask any question related to your database using that one searchbar and get an answer in natural language right away. That is exciting and something useful that we can all use on a daily basis. KD: What's interesting that we learned after the first and second batch is that even though we founders who may only have a completed product, most of them - roughly 70 percent - already have some traction in their country of origin. They already have a product, their first clients, and interesting technology. What we learned is that after they get to the program, they learn more about the local market, meet local advisers, mentors and coaches, and they end up pivoting the product. So that means that right now, we're focusing on the team versus an exciting product or the technology that they have. There has to be a good combination on the team. The team is the number one priority for what we assess prior to investing because, again, most of them will pivot and we need to make sure that the team they have can execute and survive in a new culture and quickly adapt to the amount of stress they would face in the program. We need to see a balanced team. Teams from Eastern Europe are super heavy on the tech. They're all techies. Most of them have PhDs and probably they're coding while sleeping, but we need to see the balance. We need to see that they also have business-oriented co-founders. I remember I was looking through applications and I have this question on the application form, ‘Tell us something about yourself that maybe we should know,' and he said, ‘I was renting out a Star Wars costume to make money in order to survive and support my startup.' For us that was something impressive. This guy was so dedicated that he came up with an idea to rent out those costumes and got some cash from that rental, though that was not the main priority. By the way, this guy raised $15 million in October. So, some extraordinary qualities are important and I think that shows us what type of person it is and maybe how that can benefit his or her startup. KD: We're not really looking for specific numbers of customers or an amount of revenue. Again, these numbers are usually related to the startup's home country and most of the time they're not relevant on the global scene. US investors don't care about your overseas performance. If that traction was purely in that European market, then it doesn't really matter, because this product may not fly in the US , as it's a different market with different problems. So they might not get the same users and it's not going to be relevant here. Only if those users are coming from the US market have they truly began to validate their idea internationally. So it depends on the situation, but in most cases investors do care about US traction more than traction in the founders’ home markets. We're looking for validation and potentially a good team, as I mentioned. If this startup launched their product within the past three months and got a certain amount of users or traction, that also shows how well the team can execute. This is something we care about, but in terms of the numbers itself, they're not going to be relevant to the US. KD: The startup will apply to the program, fill out the form, answer a bunch of questions, attach a presentation, then go through the first stage of interviews. There are different stages of interviews where we assess the team, the technology and all other aspects. In terms of the due diligence, because it's such an early stage, it's tough to perform a full due diligence. We use the product and we test it from an American user’s perspective. We can do the assessment internally or ask our mentors and advisers from that field. That's pretty much what we do. After testing the product, we assess the team, structure, cap table, and the relationship between the founders. We need to make sure there's no hidden investor who owns the whole company so other co-founders and team members are like employees, where they don't have interest. That means this team might fall apart in the next year and then you just wasted your investment. We run batches every six months, so we have two batches per year. Usually the process takes about three or four months. Let's say, if a team applied in September, they would begin the batch in January. After a startup team applies, the first process is our initial interview, followed by additional interviews with advisers, and then a final interview all with all partners of the accelerator. Our process takes three months, with the fourth month being for US visas and legal paperwork. KD: The main goal for us is to help these guys integrate into the US ecosystem and get traction here. We don't want them to have illusions that they're going to raise and get investments right after the program or that they will get checks on the demo days. These are international startups and it takes time to build relationships with local US investors and the broader ecosystem. From past experience, we saw that it helps a lot for them to achieve traction - first sales, first revenue - in the US, and to start building relationships with local investors. These factors will increase their valuation because, when they initially arrived, their valuations were as European startups, not US startups. For a local, American startup, it's easy to raise $3 million in a seed round just based on a deck, but it's a totally different game for an international startup. The founders will not be able to raise that Series A having nothing. The criteria are different. That's why our goal is to get them to do everything they can to increase their valuation. That means getting local traction. Later on, let's say 10 months after the program, they raise a Series A. That was what happened with GeoCV. When they first got here they just had the technology, and they didn't have a business model, so the founder went out and met local real estate agents and Airbnb hosts. With this information, he created the company’s business model and gained initial traction in the form of sales and pre-orders from large local brokers for those listings. The validation of his company was created because he found his niche and hit the ground running in the New York real estate market. When he showed that potential of where his company could go and how much it could generate in sales, it was easier for him to raise a $2 million late-seed round. This happened approximately 10 months after he went through the program. KD: I went to school in Moscow and I got my Masters in economics from Moscow University. I started my career in Moscow at Nielsen over 10 years ago. By that time I had traveled the world a lot, and I felt like New York was one of my favorite places. It had such a vivid life as a city and I'm enjoying that the most because, in some ways, it's similar to Moscow. I moved here and to solve the visa issue, I got a job in a financial company and they sponsored my H1-B visa, which back then was almost impossible, due to the 2008 financial crisis. I was on the marketing team and business development side, building financial products. Within the year, we got really good results and moved to Wall Street. After that Wall Street company, I moved to another company and then I kind of got tired of the corporate, Wall Street lifestyle, so I moved into my own agency. Together with a partner, we built an agency for financial companies, but in addition to large corporate customers, we also worked with entrepreneurs. By 2015, I had already set up my family and had a child, so I thought it was the right time to sell the agency and think about what I wanted to do next. I wanted to have more than just a series of startup clients because I really enjoyed helping startups from the ground up, and pondered how I could better scale that work. It's interesting how, back then, I formed this initial vision, not knowing how it was going to take shape, what exactly it was going to look like, or what exactly it was going to be. It turned out to be an accelerator. So it was interesting how I entered the whole venture world - not though the door but through the window. My good friend, who used to work on Wall Street, introduced me to my partner. That's how I transitioned into the venture world. Within a year, I had already built the accelerator, including its program, partners, and early startup investments, so I learned from experience how to close the deal, how to assess the company and everything else. Having that experience, I thought I was missing items regarding investment theory or other basics, so last year I went back to school and took a Berkeley VC class, to make sure I'm not missing anything as I continue to scale the accelerator. I was quite surprised that having real experience and diving into this from day one, managing all kinds of things, allowed me to learn much more about venture capital than from books or taking classes at a highly-ranked school. The Berkeley class did, however, help me to make sure that all the pieces were in the right place, and they are. And, of course, meeting like-minded entrepreneurs and investors at Berkeley helped to widen my network, and we are all still in touch, meeting in different parts of the world. KD: What excites me the most is actually helping startups achieve their dreams, and getting them from point A to point B. That's rewarding. I love what we do with the accelerator every day. Helping our guys succeed is the best feeling you can get. Again, understanding them and being in their shoes is the best added value that I have right now as a VC. Most VCs don’t get to work with startups on a daily basis. KD: This is our third fund. The first fund was $3 million, then the next one was almost $3 million and right now it's another $3 million fund for the accelerator. KD: We invest $130,000 in both program value and cash in exchange for 7 percent equity. We also invest after the demo day and give an additional $20,000 to startups that perform well in the program. KD: Out of the third fund, we just onboarded batch number four; we raised for the next four batches, so there's going to be two more batches per year. KD: We're also raising a follow-on fund right now. It's an additional $50+ million fund which will do follow-on investments into the best startups after the program. We get lots of startups that are later stage or they don't need acceleration, and they're not ready to give up that amount of equity, but they do come to us because they need US expansion and access to the US market. So this follow-on fund will give us the opportunity to invest not only in graduates of our program, but also in outside startups that come to us as ‘global challenger’ companies that already have what it takes to succeed in the US. KD: I would say pre-seed. In the US it's pre-seed, but in Europe or Russia it would be called seed stage. KD: We have 10 to 15 startups per batch, so 20 to 30 a year. KD: I would like to highlight that we're still growing our mentorship base. We're always looking for great mentors and advisers for our startups, so if there's anybody out there intrigued by our vision and results so far, we would be happy if they could reach out to us and discuss becoming a mentor. My email address is ekaterina.dorozhkina@startacapital.com, and we also have a link on our website, so if you're interested, you can apply and attach your LinkedIn profile and then our program managers will contact you. It’s always great to have diverse and experienced mentors for our startups, since you never know when or where an amazing match will happen. Starta Ventures is an innovative family of companies seeking to break through traditional venture capital barriers and empower the next generation of tech entrepreneurs. It began as Russia's first seed-stage investment fund, and has since brought its innovative programs to New York's 'Silicon Alley' as a cross-border startup accelerator, co-working space for international founders, ICO funding mechanism, and investor education academy. In the accelerator's first few years of operations, it funded dozens of Eastern European entrepreneurs, brought them to the US, and set them on a path to global success. Starta's portfolio companies have gone on to raise tens of millions in traditional follow-on funding rounds and millions more through their pioneering ICO program. FriendlyData is the API-based solution that helps businesses make data accessible for non-technical people by providing a natural language interface for databases. With FriendlyData you just need to ask a question, for example: “Find companies from San Francisco founded last year that raised over $200K”. Our API turns natural language into requests to databases and comes back with an answer. Our customers can use FriendlyData without any in-house data science or NLP expertise and they launch products faster - this is why our first client choose us. We are experts in Natural Language Processing and database administration. We’ve been working together for five years and helped companies like Google, Walmart, Barclays and Cornerstone onDemand. Our mission is to make data accessible for everyone.